Which Custom Bookshelf with Desk Built-In is Right for You? Whether you’re a student, work-at-home professional or someone in need of a command center to manage your home, you simply can’t beat a custom design that’s been built just for you. 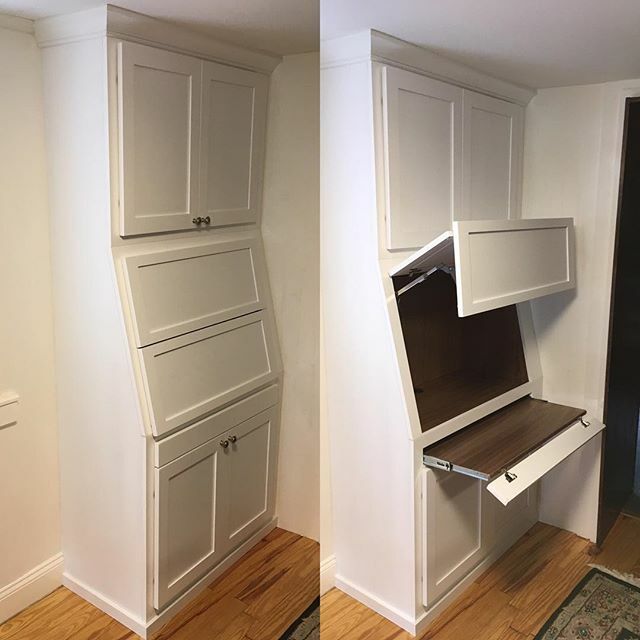 Take a look at a few of our recent projects and see how we’ve personalized the standard “bookshelf with desk built-in” option for three very different clients. 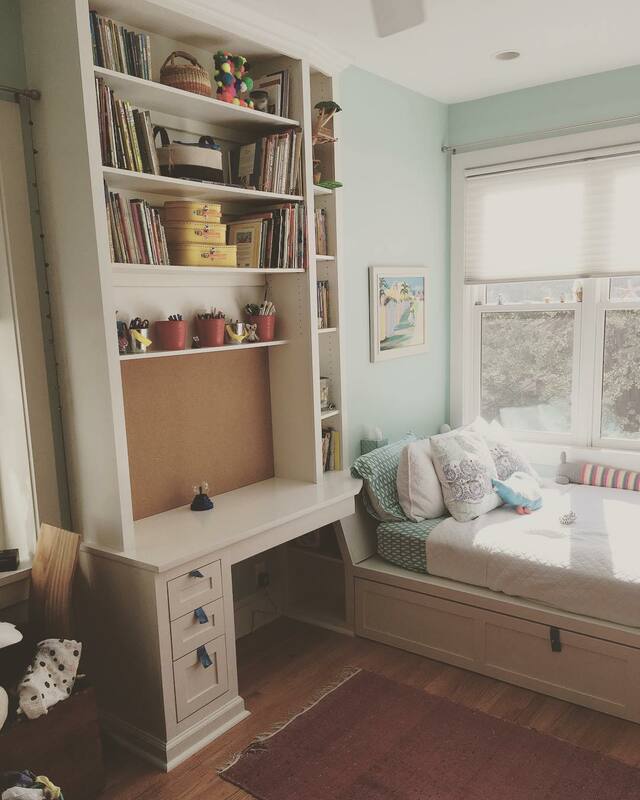 For this kid’s room, we had to pack a lot of purpose into a small space. This Philly rowhome offers a great location and lots of beautiful natural light, but it’s limited in square footage. 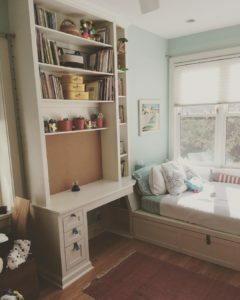 Thankfully, with custom furniture, like this bookshelf with a desk built in, you can make your space work for you. With this trundle bed and built-in desk and bookshelf, we’ve created an area that’s great for study, sleep and entertaining. In another rowhome renovation, we maximized the space in this Queen Village dining room by adding a compact and discreet secretary desk. When not in use, it blends right in with the room and utilizes otherwise wasted square footage. When it’s time to get to work, a pull-out desktop and hinged cabinet door reveal a great workspace. This custom design contains both a storage-savvy bookshelf and built-in desk. 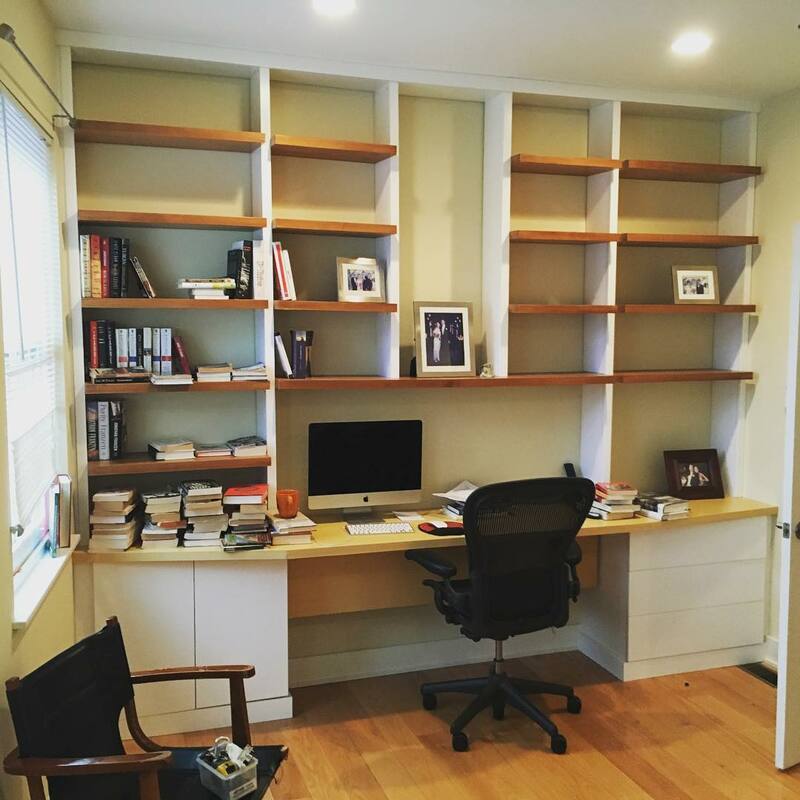 In this example, we’ve taken a modern approach to building these bookshelves with a desk built-in. We used contrasting woods and white lacquered cabinets to give the room an open and clean feel. The built-in desk has cabinets on the left and drawers on the right, providing storage for documents, office supplies, and equipment. Above the workspace, we’ve installed open cantilevered shelving. Open storage like this isn’t just useful, it allows you to further customize your space and show off your personality. Striking a balance between form and function when it comes to home offices can be a challenge. 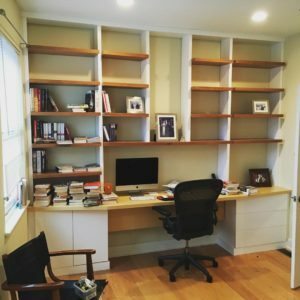 If you’d like a complimentary consultation to see how a custom design like one of these bookshelves with a built-in desk would work for you, get in touch. Call us at 215-839-6659 or fill out our contact form. And, to see more of our work, check us out on Instagram! Next post: Are Wall Units Outdated? Not When They Look Like This.